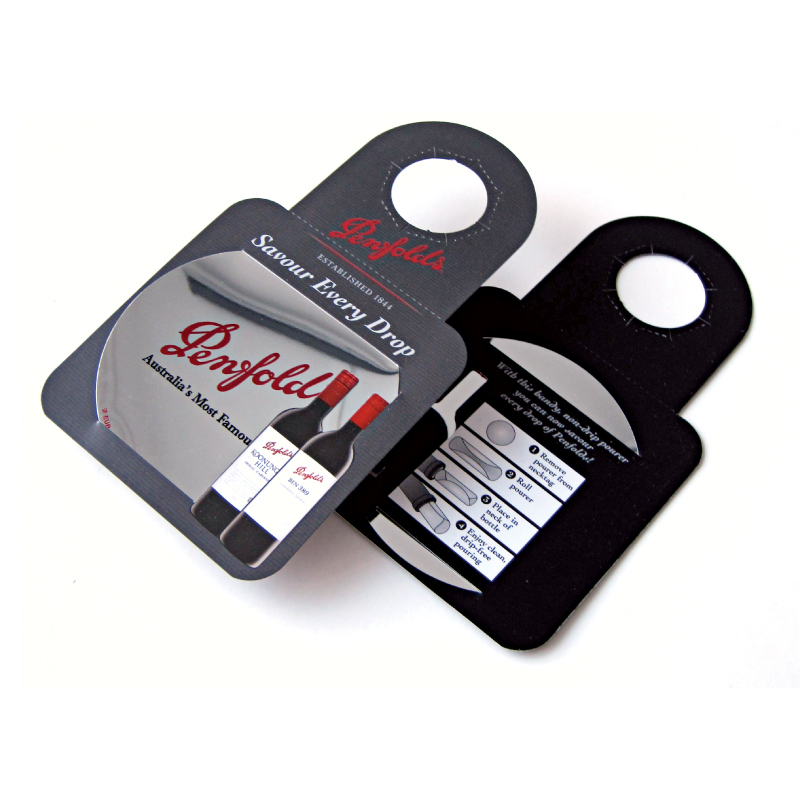 Neat on-pack promotion, printed DropStop pack smartly into fully customised Wine Bottle Neck Hanger. Digitally print with your design from as few as 150pcs and promote in standard white or black Square Neck Holder. Holds 1-3 discs. An original off-trade premium. For additional brand awareness personalise Neck Hanger from 250pcs. Printed DropStop Neck Hanger in multiple colours on both sides. A brilliant solution for an on-bottle promotion.